Went out with friends for a movie outing to watch despicable me ( which is a truly awesome show xD) yesterday. Amidst all the fun and laughter, we found ourselves terribly hungry for lunch after buying tickets. One friend suggested that we go Pomo, known also as paradiz, for some affordable japanese food. I’ve recently been on a rice rampage ( it wore off today though) so I immediately agreed- calrose rice for lunch is music to my ears! 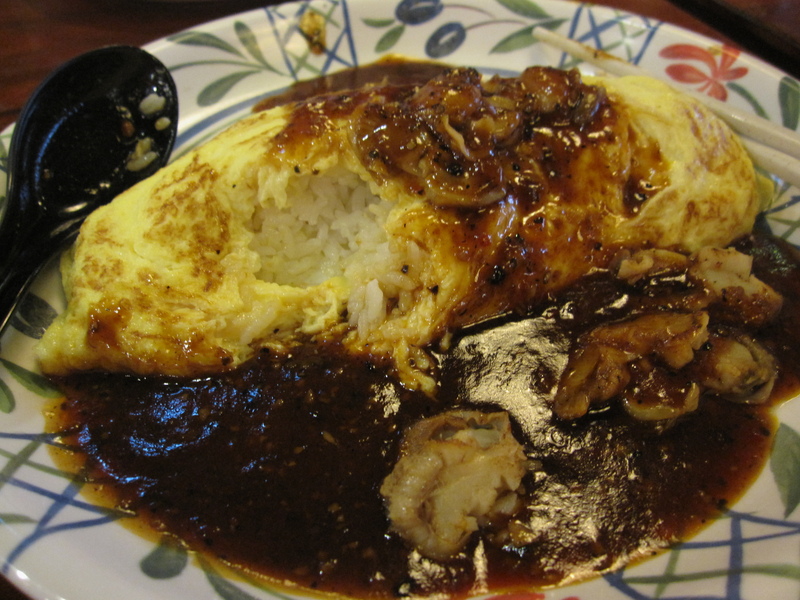 Ishi Mura is a fuss-free japanese style foodcourt with food that is simplistic and filling. Prices here are also economical, perfect for poor financially-dependent students who still crave for the air-con and open space that makes chatting easier. 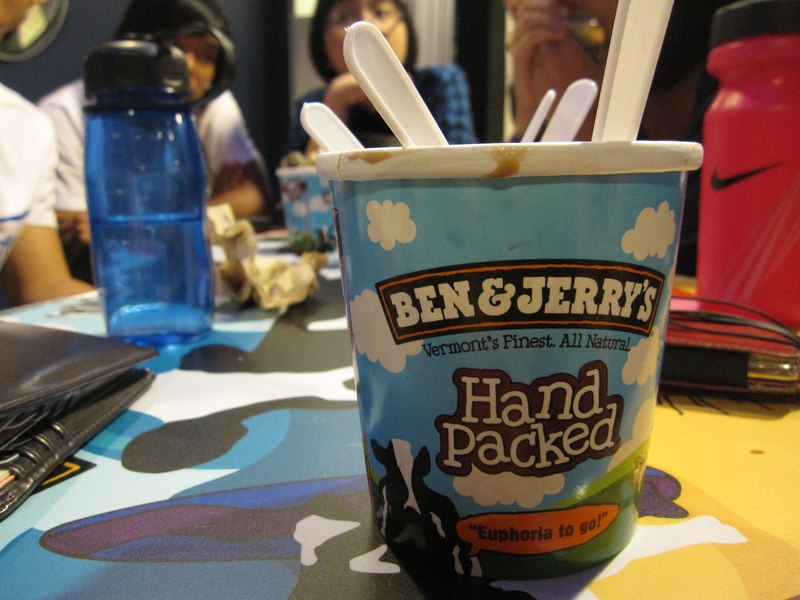 After the movie we were craving for ice cream and where else in cathay but at ben and jerry’s? Currently they are having a promotion of two hand-packed pints for $20.10. 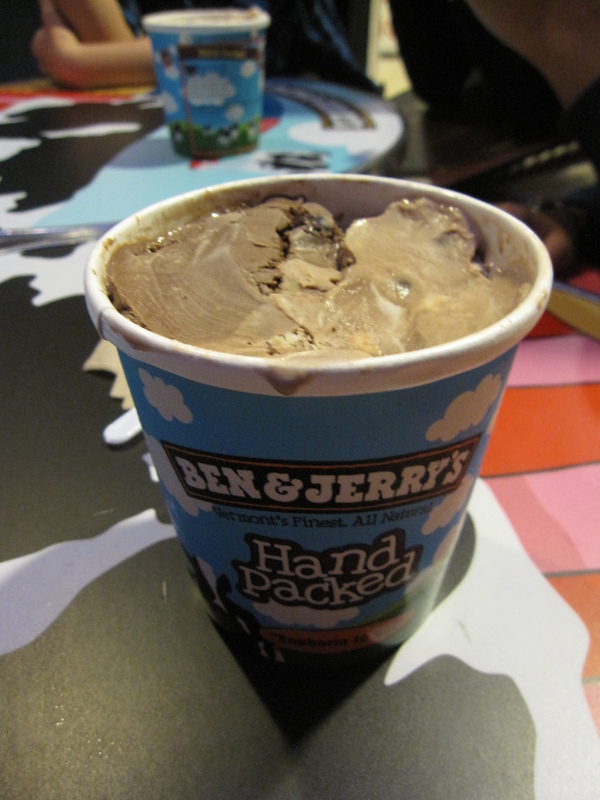 Each pint can carry two flavours and we had chunky monkey, new york fudge, chocolate macadamia and strawberry shortcake. The personal favourite would have to be chunky monkey because of the walnut chunks ( I love my nuts!). 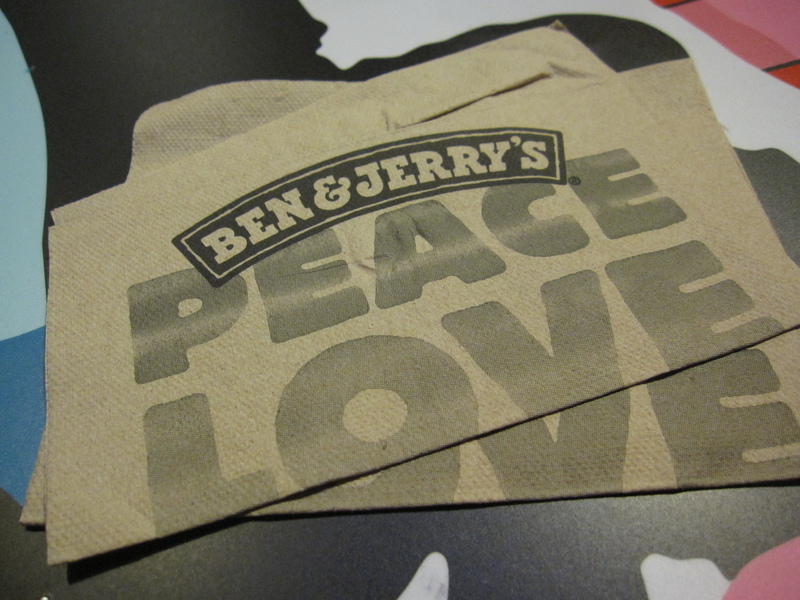 Ben and Jerry’s ice cream’s is really sweet tho so given a choice I would not choose this place for an ice cream fix. But who can resist the cute and quirky interior of B&Js at cathay?